Contact lenses are an excellent corrective option for many people, creating freedom and versatility for the wearer. Often, patients assume they cannot wear contact lenses due to the shape of their eyes or the nature of their prescription. However, technology advances in contact lens design and material have made it possible for almost anyone to wear contacts. 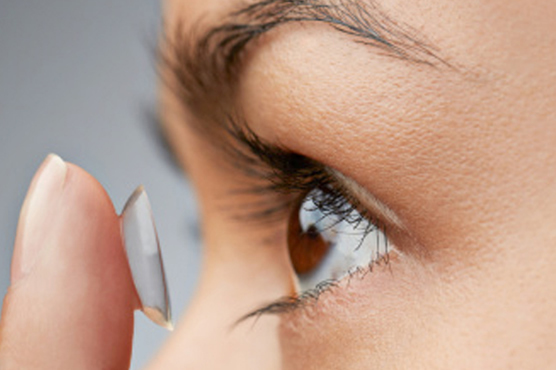 At Modern Eyes Optometry, our optometrists can determine if you are a candidate for contact lenses. We offer contact lens exams and fittings along with a wide range of contact lenses to suit your needs. The process of finding your ideal contact lenses begins with an examination, where we measure the size and curvature of your eyes along with your prescription, ensure your eyes are healthy and account for lifestyle needs. Once properly fitted lenses are chosen, you will receive a trial pair. Contact lenses can serve many of the same functions as eyeglasses; however, they are also capable of offering much more. Modern Eyes Optometry offers a number of different contact lenses, designed to serve specific needs. Spherical contact lenses have one uniform prescription across the entire lens. These contacts are effective for correcting refractive errors such as myopia (nearsightedness) and hyperopia (farsightedness). Toric contact lenses are used to correct astigmatism,; a refractive error in which the patient has different curves on the front of their eye. Although more difficult to fit, these lenses have advanced to the point where most astigmatic patients can wear contact lenses. Multi-focal contact lenses have different focal lengths to see distance and near at the same time., These lenses are a great alternative to wearing bifocals or progressive glasses. Custom contact lenses are an excellent option for patients with very unique or high prescriptions. For further details on the benefits of custom lenses, speak with one of our optometrists. Modern Eyes Optometry is proud to offer some of the most respected contact lens brands in the world.